Wednesday, 25th April was a strange day for me. And for countless other people too. When I checked my website analytics I thought there was a mistake. I was used to getting 500+ visits a day to my website, the vast majority of these coming through Google search. But only 98 visited. What was going on? I immediately went to an SEO (search engine optimization) forum to see if this had happened to others. General chaos. It seemed like everyone had lost traffic to their site. There was anger and frustration, and people didn’t really know what was happening. I checked my analytics the next day and the traffic hadn’t come back. I went back onto the forum and people were talking about a big nasty penguin (the update that Google made to their algorithm was called, “The Penguin Update”). The search traffic that (I thought) I relied on to get new students, they told me on the forum, wasn’t going to come back any time soon. I was feeling lost and wasn’t sure what to do. I was reading comment after comment from people who had their income slashed overnight due to this one update. I was feeling their pain and nodding along to the posts full of anger. But out of nowhere there was a comment that changed everything. I was firstly in denial, but after a couple of days of comment repeating in my head, it started to really resonate. And it was then when I used different methods to get learners to sign up to lessons with me. Steadily building and then.. DROP! Once I got some composure back after the initial shock, I took a little time to think about what to do next. I also thought about whether all the SEO work that I did was worth it. Although I was bringing in 500 learners a day to my site, the percentage of those converting into paying students, quite frankly, terrible. I was getting massive traffic, but I wasn’t getting them to do what I wanted them to do. Why was my conversion rate so low? – Was what they were reading not good enough? – Were they coming for the wrong reasons? – Was I doing a bad job of converting them? Yes, yes, and yes. I was writing content that was written for the search engines (to make it come higher up in the rankings); I was targeting search terms that weren’t really connected with what I was offering, but instead for terms that were easy to rank; and my conversion tactics were very basic at this stage too. But what did I learn from this? 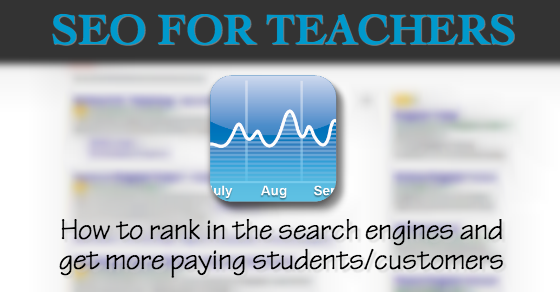 And should teachers use SEO as a tactic for getting students? 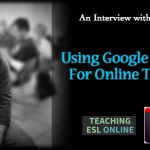 Bringing learners onto your site through the search engines can be incredibly profitable. That is why I spent so much of my time and energy into making this happen for me at the start. But what I was doing to get higher rankings was what caused my sudden drop in rankings. The good thing about SEO these days is that, on the whole, the things that you should be doing for your website anyway are the same things you should be doing to increase your rankings. There are just a few extra things that you need to put in place first. Here are some guidelines on what you should do to if you want your website to rank highly (note: I have used these exact tactics to get 2,500 visitors a month to this site through search engines like Google). One of the search terms that brought in the most traffic for my English learning site was “Present perfect simple.” I saw that I could rank highly for this if I did the right (which are now the wrong) things. 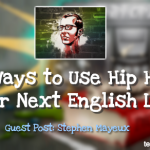 My hope that it when English learners came to my site that they would see that I offered lessons and want to take them. But the search term wasn’t exactly targeted. And also my method of converting students at that time was pretty uninspiring. So, it all starts with the right search terms for your niche. And to get this right you have to write about things that are relevant to your audience and what you’re offering. When I looked at my analytics, my paying customers were coming through search terms like, “Learn English Skype.” Which was exactly what I was offering. This is an example of using the right search terms. Think about what keywords are relevant to your site and then create content based on this. To ensure that your site ranks highly you need to optimize it for the search engines. Some people go too far with this and their website looks like it has been written for robots. There are ways to achieve readable and engaging copy while at the same time including what you need to include to optimize your site. There are certain things that you can do that are quite easy to implement; this includes: having a quick site, the right plugins, a clear menu, and having keywords (the search terms people use) in your title and text. This is much easier to do now when using WordPress, as the themes that I recommend have all of this already built in. It is your job to write really engaging content on your site. Assuming that you are targeting the right keywords, then this is the area I recommend spending your most time and creative energy on. If your content is excellent, people will share it, spend more time reading it, and will link to it. When people do this, they are telling Google that your content is worth showing in their search results. And your website will climb up the rankings. I quickly found ways to automate this process and have hundreds of links pointing to my site. That is why I got the infamous Google Slap. What I was doing didn’t feel right, and I ignored anyone who said that it was going to come back and haunt me. Now, I just concentrate on having my website optimized, write the best content I can, and share what I write in the right ways. If you build it and share it, links will follow. What it comes down to is this: being high in the rankings can do amazing things for our teaching business. 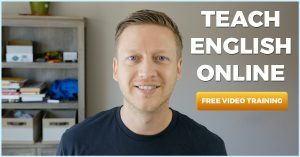 Getting targeted visitors through Google and other search engines means that you can expand your teaching business by hiring other teachers and/or offering different courses and products. But it takes time to get to this stage, and if you try to force it, you will most likely get penalized in the long-term. The amount of time I spend doing or thinking about SEO is very limited now, and what brings me results is what I should be doing anyway (writing my best stuff, sharing it, connecting with others etc.). It makes me cringe thinking about what I used to do, and the drop in rankings was a blessing in disguise as it helped me realize that I was focusing on the wrong things. So, take a long-term view and relax knowing that if you do the right things that your site will climb up the rankings, bringing in targeted organic traffic. And more clients/sales along with it.